Sony Move (PS398059) Navigation Controllers/Nunchucks. Condition is Used. Dispatched with Royal Mail 2nd Class. 1 Brand New And 1 Used Sony Move (PS398059) Navigation Controllers/Nunchucks. I have for sale here 2 PlayStation Move Navigation Controllers (Nunchucks). One brand new and unopened and one barely ever used. Any questions just ask. Sony Move (PS398059) Navigation Controllers/Nunchucks. Condition is Used, but very good condition. Dispatched with Royal Mail 2nd Class. PlayStation Move. Play Station 3 Accessory. Used in Excellent Condition. It has been tested and works perfectly. Official Sony PlayStation Gun Case Red. Up for sale is adult owned / used. Works perfectly, no noticeable dings or scratches. ALL Buttons in EXCELLENT condition. 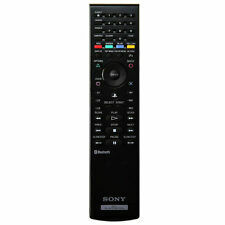 Remote body may have a minor scratch or scuff mark but nothing noticeable unless you look really closely! Genuine OEM Sony Playstation 3 PS3 Dual Shock Wireless Controller Black Six Axis. Condition is Used. Shipped with USPS First Class Package. See pictures for best description. Tested and works. These are pre-owned and in great condition. It has been tested and works great! FREE LOCAL PICK UP IN SPRING LAKE PARK, MINNESOTA! NO EXCEPTIONS. They are tested (unless NIP or NOS, sealed etc), photographed, and described to the best of my ability, but functionality and reliability during prolonged use can not be verified. We all get frustrated, but that is no grounds for attaching others.